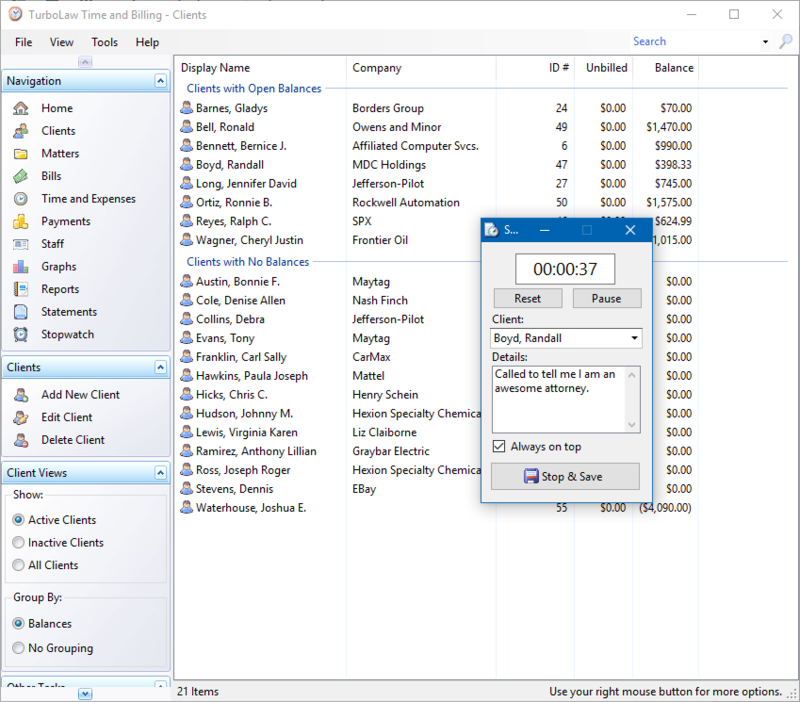 TurboLaw Time and Billing is the simple way to track time, bill your clients easily, and get paid quickly. If you are absolutely dreading the idea of researching and learning a time and billing software, you’ve come to the right place. 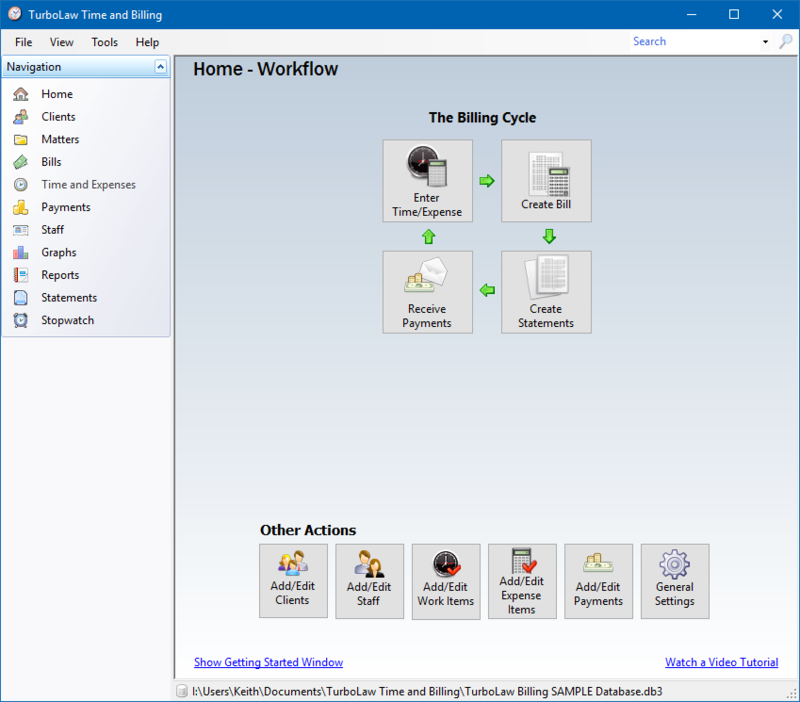 TurboLaw Time and Billing was created because of the desperate pleas of our customers to just have a billing software they could actually USE – a program that would not make them tear their hair out or have them pay for features they’d never use. 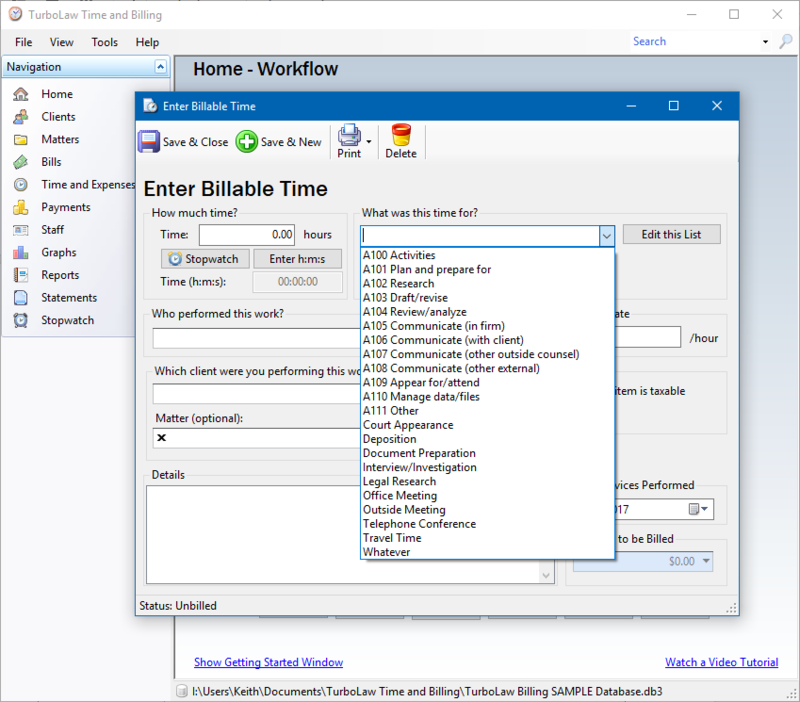 TurboLaw Time and Billing makes time tracking & billing SIMPLE. 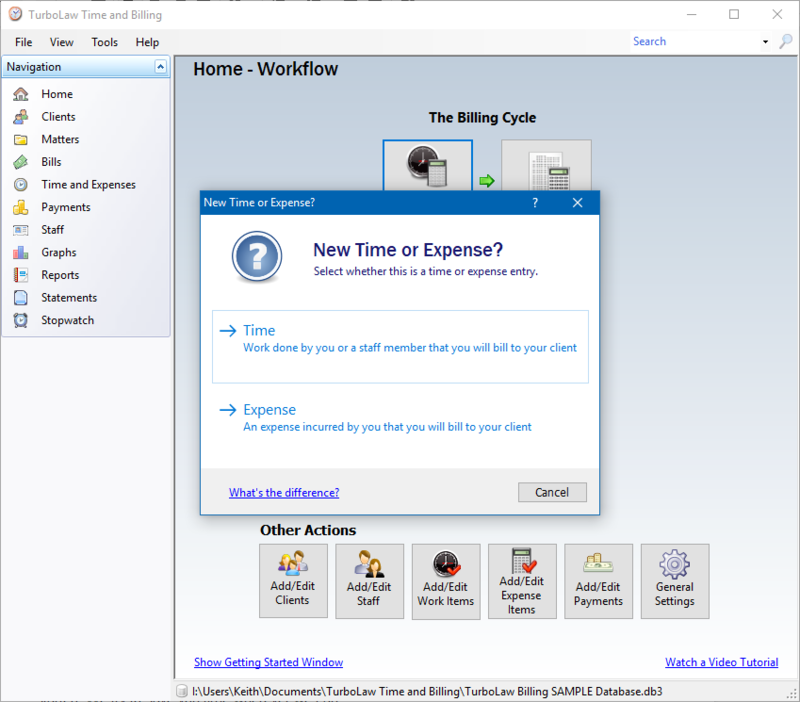 Don’t avoid billing for time because you hate your software. You’re just punishing yourself twice by hating your software AND losing money! You don’t need an accounting or IT degree to use our software – clear images and prompts are there for whatever you need to do. Always easy-to-understand screens with no jargon. Just get the job done and get home. All lists are fully customizable to fit what you need, but come with common categories to get you started. We try to save you time wherever we can. Easy-to-use stopwatches give you the ability to track your time during the day. This is critical – don’t wait until the end of the day when you’ll hardly remember what you did! Reports and graphs provide critical data for running your business so you can make the best decisions for your practice and your life. The next step is to start your 14 day free trial. Accurately track time and notate billable hours whether you’re on the phone or on the go. Keep client contact information organized and add unlimited notes or other valuable information for your clients. Bill at any time increment, set custom rates by service and/or employee, set flat fees, track expenses, and more. Easily generate comprehensive reports of all retainer payment activity to help with IOLTA reconciliation. Impress clients with professional-looking bills and statements created from our templates or your own custom template. Export any bill to LEDES 1998B format, no extra software or special conversion software required. Track your client’s retainer balance at a glance and create separate client matters with their own billing rates. Save bills in popular document and image file types (.txt, .csv, .mht, etc) and convert to PDF in just one click. 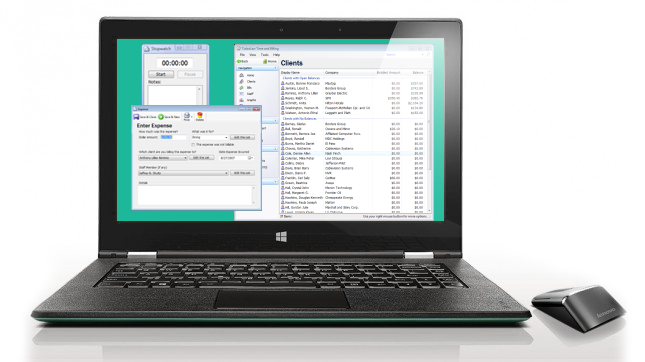 Our software automatically checks for updates so you always have the most recent improvements and new features. Get all the data you need at a glance with powerful filtering options. 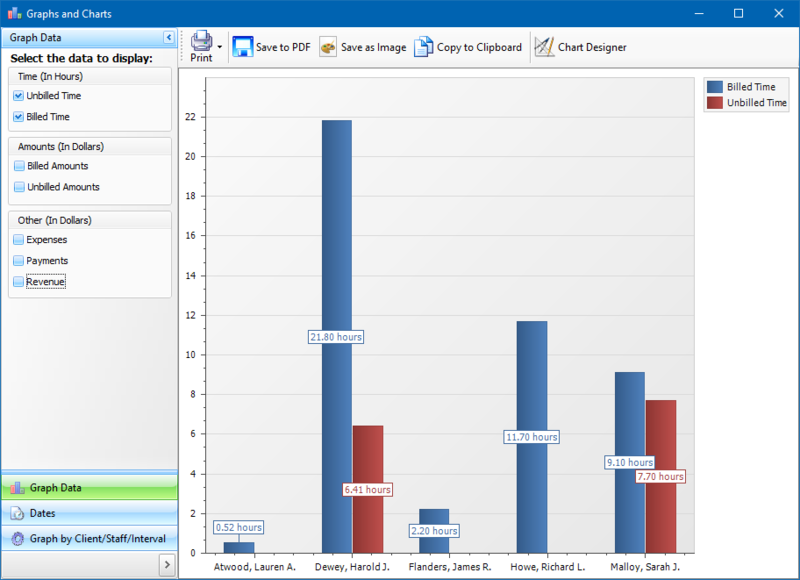 Print reports or generate them in your preferred file format. Click the button below to get access to a video showing you how TurboLaw Time and Billing makes it easy to create professional invoices and statements in just minutes. I appreciate your customer service. TurboLaw rocks! Thank you for being so responsive. It is good to have responsive ‘partners’ like you to help me with my practice. Thanks again. TurboLaw gets it. They realize that comprehensive, user-friendly legal software increases the efficiency of lawyers. This directly translates into profit. TurboLaw has become an indispensable component of my practice. I highly recommend TurboLaw. An active Internet connection is required for setup, updates and activation. A high-speed Internet connection is highly recommended. Access TurboLaw Time & Billing from your Mac – all you need is an internet connection! Just choose the Mac edition of TurboLaw Time & Billing during checkout. Try TurboLaw Time & Billing for Free! A credit card is required to sign up, but you can cancel at any time.